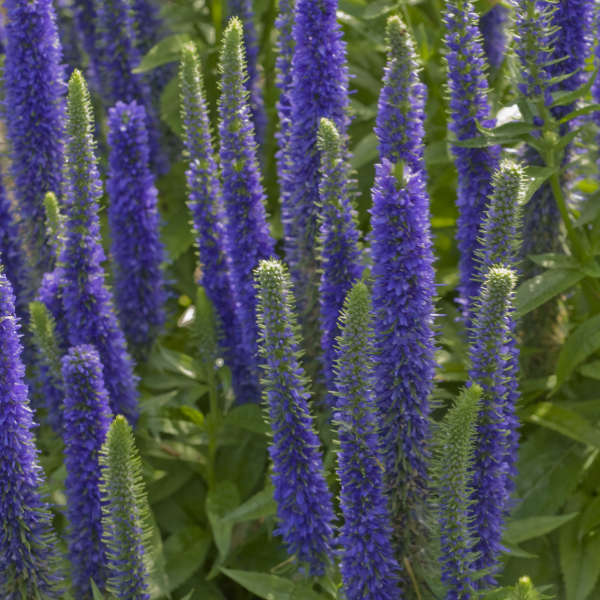 Masses of violet-blue spikes dart up above the compact, upright, deep green foliage of 'Royal Candles' PP18932 all summer long. 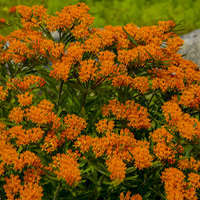 Butterflies love to drink their sweet nectar. 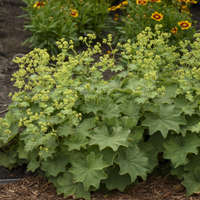 Unlike some other veronicas, the bottom foliage of this variety does not die out. 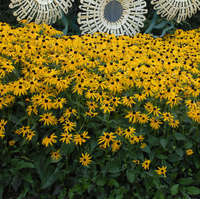 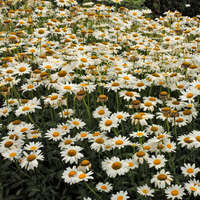 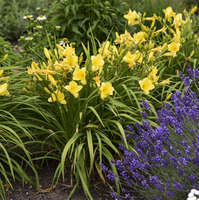 This trait coupled with its shorter habit makes it ideal for the front of the border, as an edging, or in containers. 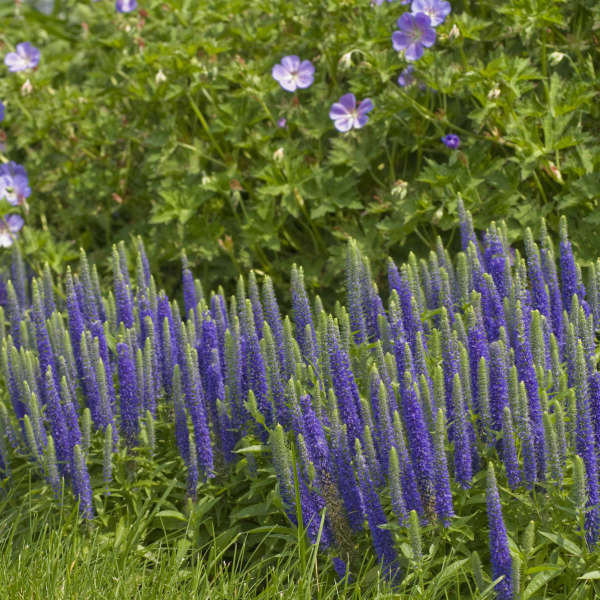 Many people consider this cultivar to be the best upright form of Veronica.